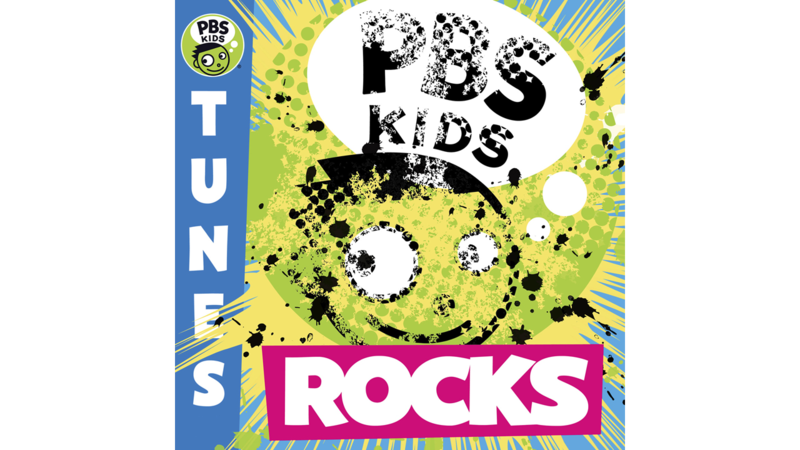 PBS KIDS today announced the release of “PBS KIDS ROCKS!” – a music album featuring 28 songs from Grammy Award-winners Old Crow Medicine Show, Ozomatli, Los Lobos, They Might Be Giants, The Weepies, Best Coast and two-time Parent’s Choice Gold Award-winner SteveSongs, known as Mr. Steve on PBS KIDS. Each of the songs helps kids explore topics related to literacy, STEM (science, technology, engineering and math) and social-emotional learning. Bilingual tunes are also included. PBS KIDS will feature the songs as music videos on-air and on digital platforms. In the videos, songs from the album are set to clips from PBS KIDS’ series, including NATURE CAT, PEG + CAT, DANIEL TIGER’S NEIGHBORHOOD, THE CAT IN THE HAT KNOWS A LOT ABOUT THAT!, CURIOUS GEORGE, DINOSAUR TRAIN and SUPER WHY!. Featuring original animation, these will air on PBS KIDS, and will also be available on PBSKIDS.org, the PBS KIDS Video App and the PBS KIDS YouTube Channel. And in preparation for the upcoming holiday season, PBS KIDS: Music for the Holidays, featuring festive tunes from DINOSAUR TRAIN, DANIEL TIGER’S NEIGHBORHOOD, PEG + CAT and more is also available. PBS KIDS ROCKS! and PBS KIDS: Music for the Holidays are now available on iTunes, Amazon, Google Play and Spotify. Proceeds from the albums will support PBS KIDS educational programming. Ketch Secor, Morgan Jahnig, and Critter Fuqua has been together as a band for over fifteen years. Throughout this time, they have been inducted as members of the Grand Ole Opry, and have won two Grammy Awards: "Best Folk Album" for Remedy (2014) and "Best Long Form Music Video" for Big Easy Express (2013). Additionally, their classic single, "Wagon Wheel", received the RIAA's Platinum certification in 2013 for selling over 1,000,000 copies. Old Crow Medicine Show now have five studio albums to their name: O.C.M.S (2004), Big Iron World (2006), Tennessee Pusher (2008),Carry Me Back (2012), and Remedy (2014). Grammy Award-winning Los Lobos is a Mexican-American rock band from East Los Angeles, California. Their sound is heavily influenced by rock and roll, Tex-Mex, country music, folk, blues, and traditional Spanish / Mexican music such as boleros and norteño. Formed in the late 1970's, band members Dave Hidalgo, Cesar Rojas, Steve Berlin, Louie Pérez and Conrad Lozano became the bellwether for Mexican-American music in the U.S. when they recorded the music for "La Bamba" in 1987, which added popular acclaim to the critical praise they had received for their 1984 album "How Will the Wolf Survive?". They have since become one of the mainstays of the Latin music scene as well as rock music in general, staying together through over 20 albums, and for almost three decades. In their twenty years together as a band, celebrated Los Angeles culture-mashers Ozomatli have gone from being hometown heroes to being named U.S. State Department Cultural Ambassadors. Ozomatli has always juggled two key identities. They are the voice of their city and they are citizens of the world. Their music — a notorious urban-Latino-and-beyond collision of hip hop and salsa, dancehall and cumbia, samba and funk, merengue and comparsa, East LA R&B and New Orleans second line, Jamaican ragga and Indian raga— has long followed a key mantra: it will take you around the world by taking you around L.A. Ozomatli has won four Grammy Awards. Two-time Grammy winners They Might Be Giants are from Brooklyn, New York. TMBG writes, records and tours continuously, has been involved in numerous television projects including creating themes for The Daily Show, Malcolm in the Middle and the Mickey Mouse Club House. In 2015, the band relaunched their legendary Dial-A-Song service at (844) 387-6962 and atwww.dialasong.com with a new song and video posted every week. Their new album for kids is called Why? and it arrives November 27th. Indie duo The Weepies have sold more than a million records, with over 17 million streams on Spotify, and 20 million views on YouTube. Their simple, direct songwriting has sent them to the top of the folk charts in a dozen countries. Deb Talan and Steve Tannen began writing together the night they first met and soon formed The Weepies. Their newest record, “Sirens,” was released in April of 2015. Steve Roslonek of SteveSongs has been writing and performing his award-winning music for kids and families for the past twelve years. Steve blends participatory songs, clever stories and great melodies to create what the Boston Globe called "not just a musical journey but an entertaining, interactive and educational one." He’s won numerous prestigious awards, including 2 Parents’ Choice Gold Awards, a Nappa Honor, 2 iParenting Media Awards, and 2 Children’s Music Web Awards.